Find the right buyers or renters fast when you entrust your real estate sales to Real Estate Unlimited, LLC. Looking to buy or rent a new home? Let’s hunt for your property today! Have peace of mind that your property is in good hands with our comprehensive property management services. Leave the contract preparation and fees collection to us! We now have email communication. Please look for all of your association communication in your inbox. If you need to submit your email address, click here. 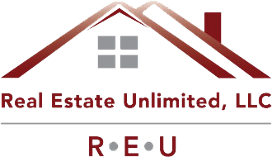 Real Estate Unlimited, LLC in Anchorage, Alaska, is composed of professional real estate licensees who provide a full range of residential and commercial real estate services, including sales, property management, and condominium association management. Having been in the real estate business for more than 20 years, we know what it takes to build lasting relationships with our clients: high accuracy in day-to-day management and personability in dealing with clients. At Real Estate Unlimited, LLC, we are easy to work with and we listen to your needs. Contact us in Anchorage, Alaska, for more information from our professional real estate licensees.